How was your party? Did you and your guest have fun? Drinks, delicious food and some dancing – the right way to relax and enjoy the company of others. And since the party was without a doubt dashing, your carpets perhaps took on more traffic than usual. Not to worry, we have prepared a few tips that will help you clean them up after the big festive night. To be honest, this will be the best case scenario. No carpet staining means the cleaning will be quicker, and no special treatment is needed. Follow these steps, and your carpets will look as if the party took place somewhere else. It is a good idea to take a closer look at the carpets for any spots before you start cleaning. Check around the dining table or anywhere food and drinks were served. If there were candles lit up at the party, you might want to look into those areas, too. In case you see any stains, start cleaning them first. While you’re inspecting the floor, look out for any miniature objects. Somebody might have lost their earring or a bracelet while dancing or a coin could have dropped out of a pocket. If there were kids at the party, it would be likely to find toys’ parts as well. Prevent your vacuum for clogging and help a friend by not throwing away something precious. Now that you made sure there are no stains, nor anything of value was lost, you may get the vacuum machine. Go over the rugs and clean any dust and dirt from all the shoes that danced the night away. To receive the maximum result, spread bicarbonate of soda and leave it for half an hour – the longer the better. It will absorb any odour and will also loosen up the fibres. 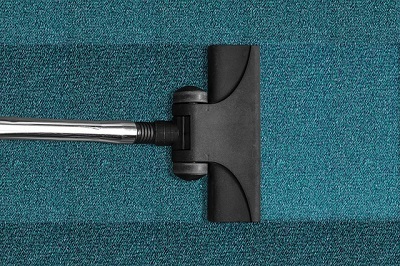 Vacuum again afterwards and enjoy the freshness of your carpeting without any special rug cleaning. All right, nobody likes this situation, but accidents happen sometimes. It shouldn’t be a surprise if there was a drink spilt or food dropped – it’s a party after all. The best thing you can do in such cases is to react quickly and attend to the stains immediately. If you didn’t have the chance to do so, don’t panic and don’t rush to call your local Bournemouth carpet cleaners yet. Pick up some gloves and get ready. Whether it is a soft drink or an alcoholic beverage, remember not to brush or scrub the carpet. Use gentle dabbing motions to absorb the liquid easier and avoid making the stain bigger and worse. Soft drinks could easily be washed with a simple solution of water and a little bit of dishwashing detergent. If you have an empty spray bottle, use it to distribute the mixture easier on top of the stain. Next, take a white towel to absorb the excess moisture from your carpet. Another successful cleansing method is to dab a cloth in a bowl of your homemade cleaning detergent, and blot the stain away. When you are satisfied with the result, use some kitchen paper to dry out the spot. Alcoholic similar to soft drinks can be easily removed using the same DIY cleaning technic. A mixture of warm water with a mild detergent or white vinegar will do the work. For more stubborn stains such as red wine or anything with brighter colours, you can also use bicarbonate of soda into the cleaning solutions you’re preparing. A call to the local Bournemouth carpet cleaners might be necessary if the homemade remedies don’t help. You can always use the carpet cleaning detergents, bought from the supermarket, but make sure to read the labels to see if they are suitable for your purposes. There a couple of important things you need to consider like how old the stain is and what colours are they. Light food stains that are not oily or don’t have bright colouring (like ketchup for example) would easily come off with water and dish detergent. Proceed the same way as with the drink stains. Blot the area with water and dishwashing liquid, and then dry it out like a professional carpet washer would advise – with a clean white cloth. More stubborn stains like chocolate or ketchup will definitely take a little bit more effort. Before treating them with any solution try to scrub off bigger bits if there’s any and after that, you can proceed further. A great homemade detergent is the mixture of hydrogen peroxide and dishwashing liquid (even parts) or club soda and white vinegar. Use the same steps — blot the soiled area with the solution, dry it out and if needed — repeat. Have a few clean white cloths in handy. If however, the stains are more difficult to deal with than you expected, it would be a good idea to look for some carpet cleaning services. If you decided to light candles for a warmer atmosphere at your party, it would be quite possible to have some wax on your carpet the next day. 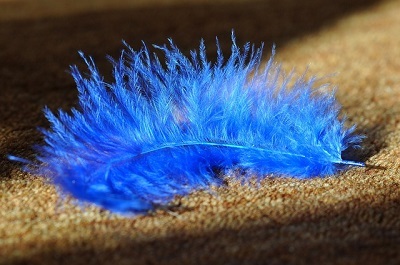 Do not get stressed out if you see your favourite candle on the rug – it can be dealt with easily. First, scrape up any excess bits off the carpet with a blunt knife. The next step is transferring the remains on another object with heat. Grab? plain paper bag and put it over the stain. Set your iron to high heat and go over it gently. It is important to keep moving, otherwise, you risk burning up the carpet. Once the wax warms up, it will stick to the paper easily. If the wax is colourful there probably will be some pale stains left. 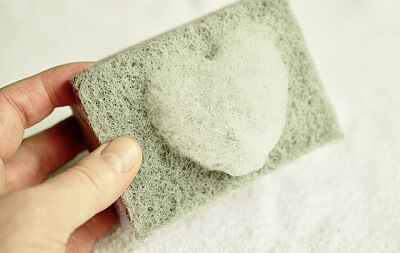 Use a mixture of one glass warm water, half of a cup of hydrogen peroxide and 2 tablespoons of dishwashing detergent. Blot the stain clean and soak it up with a towel. The rug should look as new. Sticky Tip: You can make chewing gum disappear with some ice packs or cubes in a plastic bag. Just put the ice over the sticky substance and allow it to freeze up. Remove the cube and carefully scrape away the gum with a sharp knife.